The third book in Alice Clayton's Hudson Valley series is filled with innuendo and banter worthy of the classic movie couple Hepburn and Tracy. Clara Morgan is tasked with revamping the stately Bryant Mountain House Hotel and making it profitable, but buttoned-up co-owner Archie Bryant hates change. When Clara and Archie aren't bickering, they're kissing—we adored this enemies-to-lovers story and Clayton's signature laugh-out-loud writing. This is the third book in the Hudson Valley series and each one is a standalone. 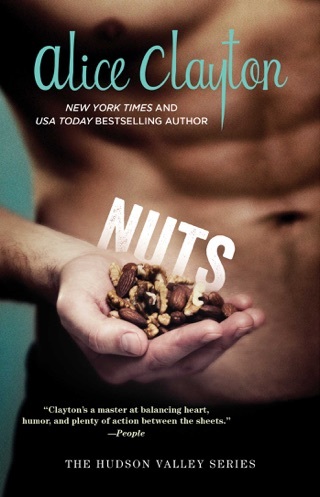 I love Alice Clayton’s writing style and enjoy reading everything she writes. Her stories are well written, funny and witty. 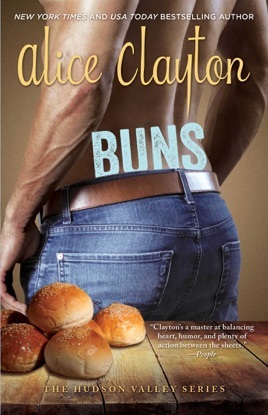 BUNS is another fun romance, with lots of banter between the characters. In this story we have two people who are total opposites and they start out disliking each other and end up falling in love. Bryant Mountain house has been in Archie’s family for generations. The beautiful old hotel sits on a breathtakingly beautiful piece of land with cliffs, lakes and hiking trails in the Catskills in upstate New York. Archie Bryant loves everything about Bryant Mountain House and enjoys upholding all the traditions that have been going on for generations. It's all he has ever known and he is upset when his father hires an outsider to come in and suggest changes. Clara grew up in foster care and she doesn't have any traditions. She is a workaholic and is constantly traveling with her job. She and Archie have lived very different lives and have little in common. She works for a branding agency. It is Clara’s job to make suggestions to improve the sales and image of a hotel. Archie and Clara argue and fight over everything. Until they meet, they are both just existing and when they are together, they both finally come alive. They know they shouldn't pursue a relationship but they can't seem to resist each other. I was pulling for them and wanted everything to work out between them. They have a passionate, fun relationship with plenty of chemistry. Archie is reserved and set in his ways and Clara is mouthy, rude and tells it like it is. It shouldn't work between them, but somehow, it does. There are some fun secondary characters that add even more hilarity to the story. Clara’s two best friends also live in the small town where she is currently working and they were each featured in the first two Hudson Valley books. Alice never disappoints. She has a great sense of humor without being corny or juvenile. Can't wait to see what she does next! I've liked all of the Hudson Valley books, but this one is probably my favorite. It's not as RomCom as the previous ones. Buns is a little more serious. Clara hasn't had the easiest life. She grew up in foster care and learned that she couldn't depend on others. She can't be tied down to any commitments because she doesn't want to be let down by anyone. Her life is pretty much her job. She's actually a sweetheart, but most don't get a chance to know her. Archie is an interesting character. He's kinda nerdy and sporty. Because of his past, he's pretty much all business also. His work ethic makes him come off as rude, but he quickly becomes one of the kindest guys ever. Clara and Archie meet when she is hired to remodel his resort. It's bumpy sometimes, but their relationship is inevitable. 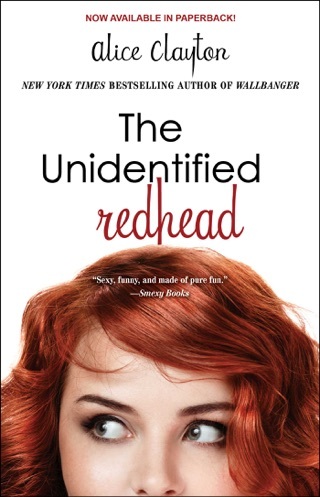 If you're looking for a more realistic romance that still has that happy ever after glow, definitely read this story.